I've always had a fondness for words (which is no doubt the reason I became a writer) and I'm always eager to not only expand my vocabulary, but also to utilize the words I know and love more often. I came across this list on Baublebar's Instagram and immediately emailed it to myself for future reference. There are a few words here that I actually do use quite often, but others that I'd like to incorporate. 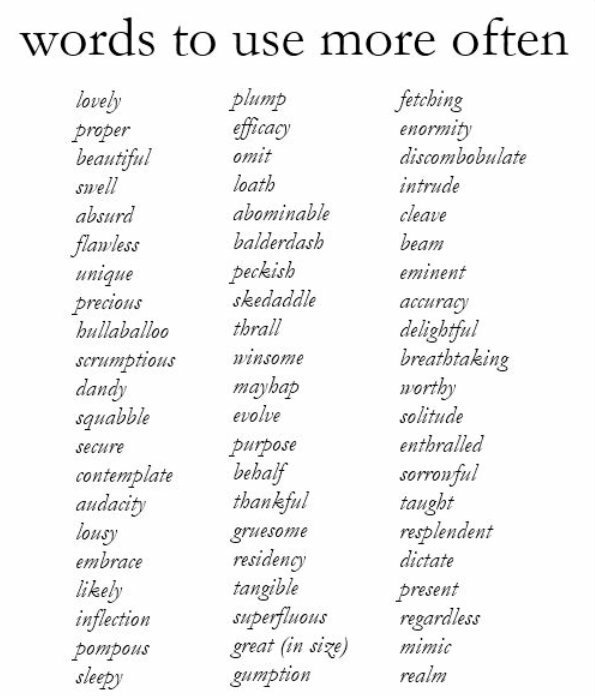 I'm particularly loving the nostalgia of words like swell, hullaballoo, and balderdash, and the emotion that words like abominable, delightful, and resplendent evoke. I definitely plan to find ways to integrate them into everyday conversation. Are there any words on this list that stand out to you? Skedaddle is a fun word and audacity is one I use frequently (lol)! Skedaddle is so fun -- perfect for using with the kids!